Thanks to everyone involved in Sunday's race. An Aquathlon (swim-run) format proves to be the right decision rather than our usual triathlon for this event. Recently, with the completion of many residential projects around the school and the attraction of the nearby Aeon Mall & other commercial developments it's just too busy to risk riding around there even at the weekend's. Based on the overall observations & subsequent comments on social media though the absence of a bike discipline didn't seem to distract participants & parents from having fun & enjoying some competitive races where participants were literally separated by 100ths of a second. With so many other events happening this weekend though, we were very shorthanded in terms of our usual number of 'official' Tri Hard Team of volunteers. And, I don't mind admitting, this created a few challenges and issues which I'd like to apologise to you all for. I'd also like to thank all of those in the team that, forgive the pun, chipped in to assist at particularly the chip assignment counter at registration that was under the most pressure to cope with the crowds. I'd also like to specifically thank two of our parents (Monica & Stephen Trott) who stepped up to assist us with body marking. As well as thanking our parents & participants for their patience with us. Particularly, if you were one of those ones caught in the lines at registration. I'd like to also extend a thank you to all those that were on the Tri Hard (Tony Heneberry, Stevo Hagger, John, Kris & Gilbert Fancourt, Jim Willis, Ali & Duncan Ogilvie, Simon Lee, Robyn Jenkins & Chris Dalton) and those that unofficially helped us out and who I don't know about. This includes those that maybe just popped your rubbish in the bins, as many of you must of done. As one real positive for me from this event was how little litter there was post event & how much easier the clean up was from a littering perspective. Anyway, a consequence, of this wonderful community spirit, we managed to keep the queues to a minimum and start and keep the event almost to schedule. Most importantly, other than for one major mistake on my part (more on that later), the event went off without incident from both a safety and organisational perspective. In this regard, a special thank you here must go to Kris Fancourt, Gilbert Fancourt and Joe Rodway who did such a great in the pool in terms of check in, briefing & safety, that my presence became surplus to requirements. Joe, who was doing the racer check in for the 1st time, showed a natural gift for operating under the chaos of large numbers of excitable & nervous racers and convinced me that he might even be able to "herd cats". His and the rest of the team's pose & proficiency was a real blessing as after some of the younger & larger groups had been dispatched it enabled me to deal with other matters out on the run course & at the finishing line. I'd also like to give credit to all the participants in the pool for not only complying with Joe's & Kris's requests but for also heeding the warning given at our poolside briefing. As despite the understandable nervousness of many parents about the new format of the swim routes. As can be from this video of one of the Wave starts despite it looking scary I didn't see or hear of one incident where racers got kicked as many had feared. This proves to us all that what seems or sounds scary often isn't as scary as our minds imagine it to be and as a consequence I heard many saying how the revised routes were good as it gave everyone a taste of close quarter swimming and an opportunity to draft. Wherever possible we'll try to adopt a similar approach at other venues knowing that the positives of doing something a little bit scary and coping with them are valuable lessons to take away from these events and into our live's in other ways. So congratulations to all of the participants for achieving what for many of you will have been your 1st mass start. I'm sure that having now done this successfully you will all have a lot more confidence when it comes to participating in a larger open water triathlon in the future. 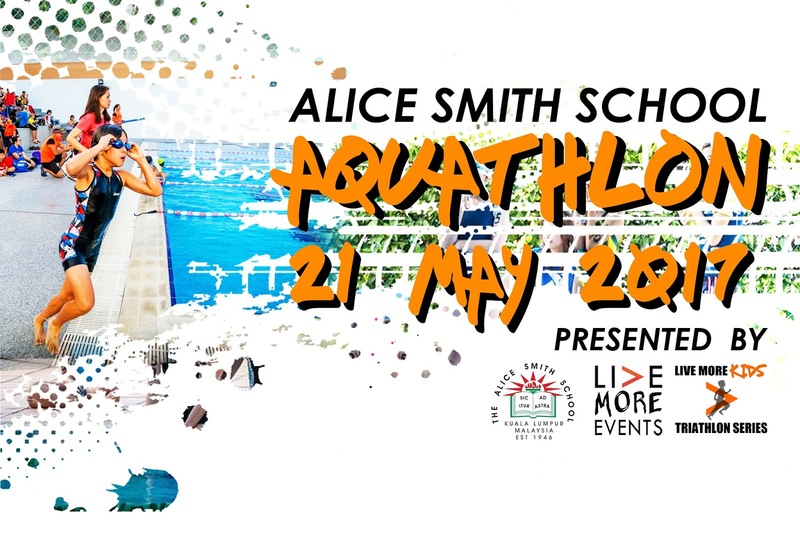 While mentioning the new format of the swim course I'd also like to thank the parents for entering into the spirit of the event as well in terms of the swimming pool element and specifically where it's located relative to the finish line. I really do appreciate the inconvenience of where our finish line was in relation to the swimming pool and the mad dash you had to make from the pool to the finish area. This was a challenge for us all while the building works continues and access to the running track is restricted. Although, the good news is that we're hopeful that next year, once the building work is completed, this will be much less of a challenge for you all. As I have plans to move the finish much closer to the pool once the work is complete. Thankfully for us and you the lovely Ladies at TriWiches & Fresh Bunch Juices, were strategically located at the finish line and were able to re-energize you & your children with their healthy snacks & juices. Many thanks Taryn, Saori & Yoon. We saw some really fast and competitive racing not only in the pool but on a predominantly flat & super fast run course. Racers showed great Grit & Determination to do their best. We saw & heard of many great examples of perseverance and tenacity as well as compassion and support with small Sister's & younger Brother's helping their siblings finish strong & be the best they could be. This is the essence of why we do these events and I'd like to commend not only all the podium winners but all of the participants for the energy and excitement that they brought to the event. Before I close this report, as many of you know, I've already written a note of apology to two of our participants and their parents who should have been in 2nd & 3rd places in the under 15 boys category. I overlooked one and misplaced another who was initially timed as the overall winner. I knew that this wrong and corrected this manually but in the process I left the other places to guesswork. Therefore I'd like to end this report and it's reflections by making reference to this once again. As whilst penning these words it helps me correct mistakes & identify areas for improvement. These are usually small tweaks which all add up to making our events better than the previous year's one. This is consistent with one of those old English proverbs that I try to adhere by adopting as a personal mantra. It goes like this... "every day is a school day" and reminds me that in trying to Live More I must make an effort to learn something new everyday. Last Sunday and this Monday saw me have some really large insightful learning experiences rather than minor logistical or procedural tweaks though. The most important of these has given me another important personal 'mantra' to try & live by. This one can be accredit to a gentleman called Eugene Kranz. Who? I hear you say? Well allow me to explain, he was the NASA Flight Director for the Apollo 13 mission. In the moments after the explosion, when death & mission failure looked certain and panic might have seemed inevitable. In my effort to solve a problem for the U15 podium results I did not heed these important words of wisdom. Instead I allowed my innate self confidence to be stop being a blessing and like all strengths morph into a weakness due to over use & a desire to "hack/reroute" the system. Luckily, unlike the Apollo 13 mission, no one's lives were at stake but several other things that are very important and dear to me were. The first of these was my reputation, part of which, wants for me to be known as "firm but fair" & "focused but fun". IMO I definitely dented the "fair" & "fun" elements of my personal brand. I also seriously compromised my purpose/calling. This underpins these and other values & is therefore more important to me. As I want to be known and remembered as someone who helps kids of all ages (even big ones like me) discover the multi-sports 'playground' and help them to inculcate the healthy & active Live More lifestyle that goes with it into theirs and their families lives. My actions on calling the U15 results incorrectly on Sunday could have had the complete opposite effect and potentially put 2 young men completely off of the sport for good. Thankfully I hope my actions since then to correct this wrong have helped avoid this from happening. I just hope that the poor young man Sean Doyle Ji Ming who I incorrectly awarded 2nd place on Sunday and who has had to be demoted to 4th place will not lose faith or give up on the sport either. He and his parents might not ever forgive me but I would never forgive myself if because of my error he stopped participating in Multi-sports events. To prevent such a mistake ever happening again if there's ever any element of guesswork (aka intuition) needed in awarding results you'll need to be especially patient with me as I will postpone making a decision until any guesswork has become a certainty. So despite the desire for 'live updates' & instant gratification in today's if I ever find myself in this situation again I want to let it be known that I will delay the prize giving for another day of any categories where there is any doubt. It's a simple solution to a complicated and challenging situation where it's usually impossible to please everyone but it's the best way to ensure fairness for all. Apologies for my personal failings & flaws again at this event and many thanks for all your support at this event, previous ones and hopefully future ones too.